It's time, once again, for the biggest festival in the Summer Capital of the Philippines, to take place. 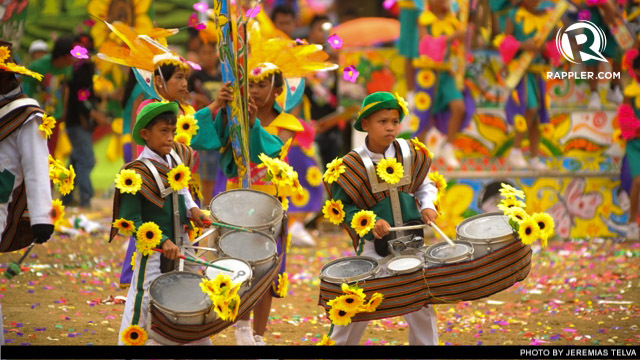 Organizers have set the Grand Weekend Parade - featuring street dance and flower float competitions - of the Panagbenga Flower Festival in Baguio City on February 22 to 23. The theme for Panagbenga 2014 is "Inspiring the Community for a Greener Tomorrow," Baguio City Mayor Mauricio Domogan said. The festival derives its name from a Kankanaey term, which means "a season for blossoming." The winners of last year's street dance and float parade - Kabayan Youth Cultural Dance Troupe and Le Monet - are expected to strut their stuff once again this year. In 2013, at least 2 million people attended the month-long celebration. Those who want to join the festivities are advised to plan their trips ahead. 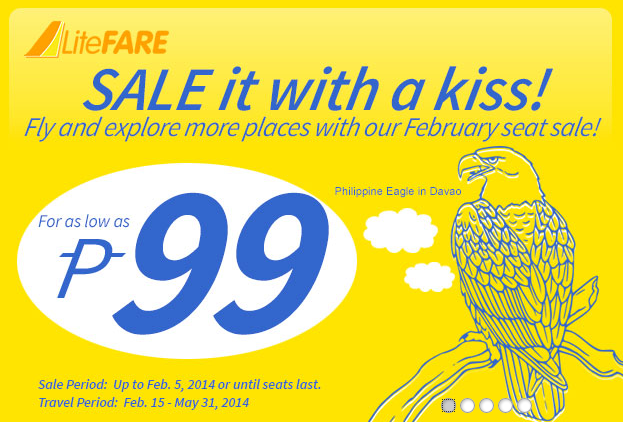 Seat Sale - As Low as 99 Pesos! The busy urban life, in some ways or another, takes toll on our well-being. One way to escape the hassles of urban living is to travel to the countryside and go camping. Home to some of the world's premier natural wonders, the Philippines is an ideal place to enjoy this traditional outdoor recreational activity. Blessed with rich natural resources, camping in the Philippines is always the choice for the adventure seeker. Here are some of the places recommended for camping, which is considered a cheap form of accommodation for some people. Located on the southwestern part of Luzon, Batangas boasts of some of the ideal camping destinations in the country. This first-class province, one of the leading tourist attractions near Manila, is home to the towns of Talisay and San Nicolas, where the Taal Volcano is situated. A visual treat of the active volcano's beautiful landscape awaits campers and hikers in Taal. Resorts and vacation rentals offering camping experience are also abundant in the province. Camiguin may be the one of the smallest provinces in the Philippines but it is abundant in natural resources such as white beaches, falls, and hot springs. Home to seven volcanoes, this island province is a favorite camping and trekking place for both local and foreign visitors. The Agohay Beach, one of the best spots to witness sunset in Camiguin, is also known as the camping site for Hibok-Hibok mountaineers. Bohol has more to offer other than the world famous Chocolate Hills. This island province located in the Central Visayas region is also famous for its parks, camp sites, and other and recreation facilities. One of the famous camping destinations in Bohol is the Magsaysay Camp, where various tree species are grown. Not to be outdone is the Bilarma Camp, which is known for its freshwater cascades. One of the hottest tourist spots in the country, Palawan is not only famous for its pristine beaches haven but also for its islands that are perfect for camping and trekking. A memorable stay in this paradise will never be complete without a stay on the Coron Island. Located on the northern tip of Palawan, the island is highly regarded as the best wreck diving sites in the Philippines. Coron is home to the Sangat Island Resort, which offers local wood cottages and a secluded villa that are perfect for campers and adventure-seekers.